Certain types of lichens are sensitive to air pollution and are excellent bio-indicators of air quality. Some lichen stop growing in areas where air quality is reduced. Other lichen are tolerant of air pollution and tend to grow better where there is more air pollution. Monitoring needs to take place over a number of years to notice trends. Lichen are part of healthy ecosystems, providing nesting materials for birds, habitat for insects and forage for animals. They contribute to soil health by fixing nitrogen from the atmosphere, cycling other nutrients, and contributing much to the overall ecosystem, especially to the forest food web. They grow very slowly, pausing their growth and existing in a kind of hibernation when they don’t get enough sun or moisture (using the process of osmosis). Sometimes we don’t even notice lichen living in our midst. Look closely at trees in your neighbourhood, you are bound to see some interesting “growths.” You may see mosses, liverworts, and lichen all growing together without any harm to the trees. They can be quite strange looking that’s for sure. Check them out! Mosses have leaves and stems, most live in moist shady areas. Their coloration ranges from green to greenish yellow, blue or brown. Lichens have varied growth forms (see Lichen Monitoring booklet for more information) and colours range from whitish gray to gray-green to black to bright yellow and orange! 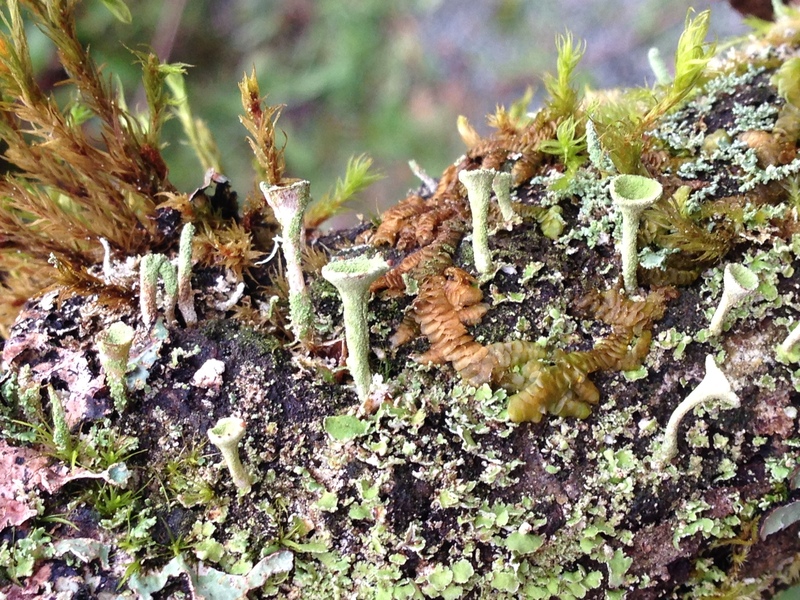 Lichens are composite organisms formed by a fungi and an algae joining together to become greater than the sum of their parts. 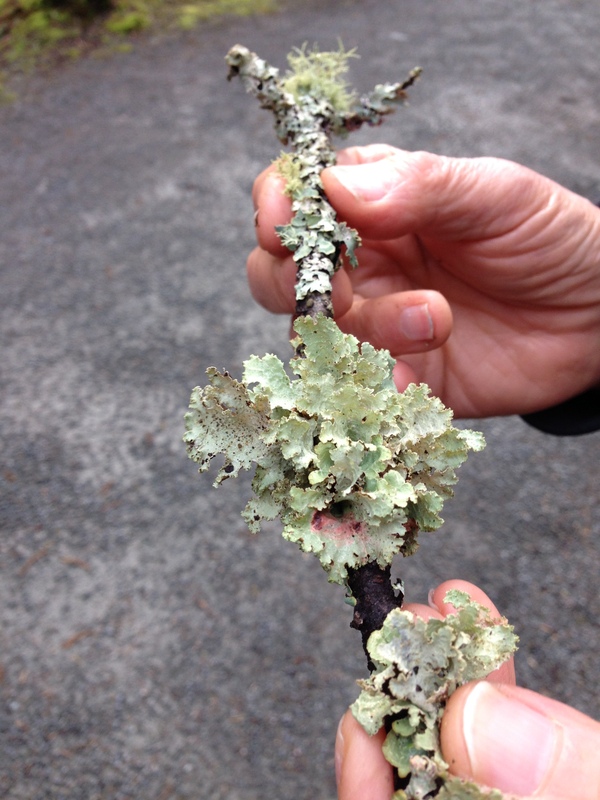 If you are interested in joining with this citizen science project download a copy of the Lichen Monitoring Booklet and start your project today!